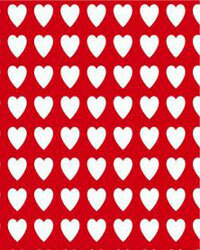 Our Valentine gift wrap designs come in a variety of designs to meet your needs. All designs are available in 18" & 24" wide rolls in either half ream (417') or full ream (833') rolls and 24"x100' cutter boxes. Some designs are also available in 30" & 36" wide rolls. Please check availability for each item via the drop down menu. 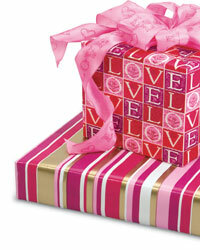 All gift wrap designs are made in the USA.